IDBI Federal is one of the up and coming life insurance companies in the industry. The company offers a diverse range of life insurance policies to meet the coverage requirements of its customers. When it comes to investment-oriented plans, the company offers different types of policies including savings plans, ULIPs, child plans, retirement plans, etc. Customers can choose the right cover from this list depending upon their specific requirements. The company also offers premium calculators on its official website to help its customers understand their investments and returns. There are 24 life insurance companies operating in the industry right now. These companies offer life insurance policies in different types. It is very difficult to pick a specific cover from this long list of policies available in the market. While researching for a policy, individuals typically check the amount they have to invest and the returns they get out of it. Premium calculators are essential in helping customers understand these things before they proceed to buy a policy. Customers can try out multiple options before deciding on a satisfactory amount that fits within their budget. This calculation is crucial in giving customers the right information about a product. On the homepage, you can check out the list of plans offered by the company under the section ‘our plans’. Choose the plan for which you wish to check the premium and visit the plan page. On the plan page, click on the menu ‘premium calculator’ to open the premium calculator page. For online plans, you can open the premium calculator page by clicking on ‘buy online’. On the premium calculator page, enter your personal details and plan details including name, age, gender, sum assured amount, policy term, premium payment term, etc. When you click on ‘get illustration’, you can get full details about the premium you have to pay for the policy. Premium calculators allow customers to compare the costs of different policies and choose the best one that fits within their budget. Since cost is one of the major factors that customers consider, premium calculators play a major role in helping customers find the right product. By using premium calculators, customers can save a lot of time during their search process. This saves them the trouble of visiting a branch office and sitting with an officer or agent to receive a quote. Since there is no sales pitch involved here, customers can make a decision without being influenced by outside parties. The premium calculators used by customers can be effective in improving the product knowledge for customers. Customers can know the factors that influence the price of an insurance policy and find the policy with the best price. Most insurance companies use premium calculators to cater to the needs of all potential customers in the market. Providing them with a price quote on a one-by-one basis can be a tedious task. With the help of premium calculators, companies allow customers to check the prices by themselves and reach out only if they are interested in purchasing a policy. Buying a life insurance policy is one of the most important tasks one could encounter in their lives. Hence, it should be done only after a careful research. Premium calculators help people in this process and let them choose the best policy that meets their requirements. 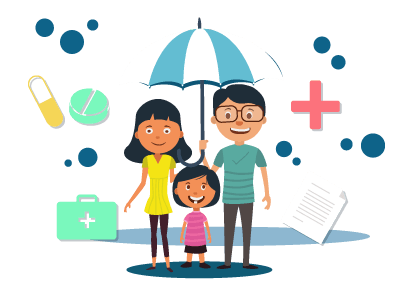 IDBI Federal has many different variants of life covers in its lineup, and premium calculators make it easy for customers to come up with a purchase decision.